Natalie Munro, Department of Anthropology, University of Connecticut. 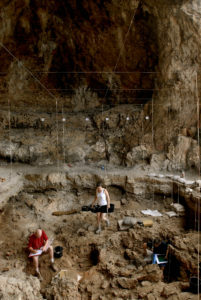 Feasting is one of humanity’s most universal social behaviors, but feasts have rarely been detected in the archaeological record prior to the beginning of agriculture. 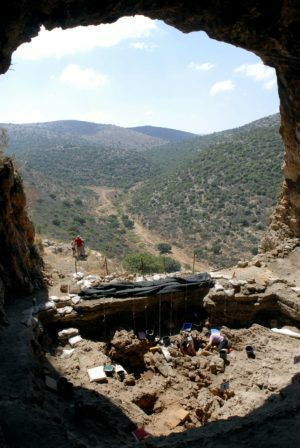 This lecture presents the evidence for the earliest known feast from the 12,000 year old burial cave of Hilazon Tachtit in Israel. Community members coalesced at Hilazon to engage in special rituals including feasting to commemorate the burial of the dead. These feasts served important roles in the negotiation and solidification of social relationships, the integration of communities, and the mitigation of stress. The evidence from Hilazon illuminates how feasts became a universal part of our modern day rituals including holidays and the passage of major life events. 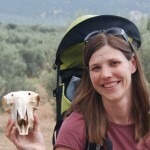 Natalie Munro is a professor in the Department of Anthropology at the University of Connecticut. She is a graduate of the University of Arizona (Ph.D. 2001), Simon Fraser University (M.A. 1994) and Southern Methodist University (B.S 1991). Munro studies the transition from foraging to farming societies in Southwest Asia using ancient animal remains. She is most interested in the formative conditions of agriculture and animal domestication, and the spread of Neolithic societies into Europe. She has active research projects in Israel, Turkey, and Greece and is published widely in peer-reviewed journals such as Science, PNAS, Current Anthropology, and Journal of Human Evolution.